The Hamburg-based urban planning office Stadtkreation was founded in 2008 by Johannes Bouchain and has developed specialized skills and knowledge within the fields of urban design/urban planning, sustainable mobility planning, cartography/GIS, communication/design/web development, and moderation/participation since then. Our projects include classical planning processes as well as innovative and informal planning and participation tools. Also, a special focus within our projects lies on the presentation of and communication about the respective projects within the internet. But for all traditional planning issues, we work together with our diverse partner agencies as well. We would appreciate to develop new projects with you – or to welcome you within our network. Just contact us!. The Stadtkreation team also consists of several freelancers who participate in the realization of our various projects, depending on workloads and special needs. Listed as freelance urban planner in the urban planners list of Hamburg Chamber of Architects. Based in Hamburg again, now in the south of Eimsbüttel district, not too far from Sternschanze. Based in Celle (Lower Saxony). 100% freelancer again. Lived in Lisbon January to November, co-founded a participatory platform there and worked as an editor for transportation subjects. Half-time PR consultant at SUPERURBAN PR, half-time freelancer. Lectureship at HafenCity University Hamburg (Coputer-based methods of planning and design I, 1st semester Urban Planning). Research assistant at HafenCity University Hamburg. Freelancer in Hamburg. Based in the so called “Münzviertel” (Hammerbrook district). Diploma (subject “Light Rail Qualities”). Three months internship at the east coast of Corsica (France). Planning studies in Tours (France). Bachelor’s degree (subject “Public transit in suburban regions”). 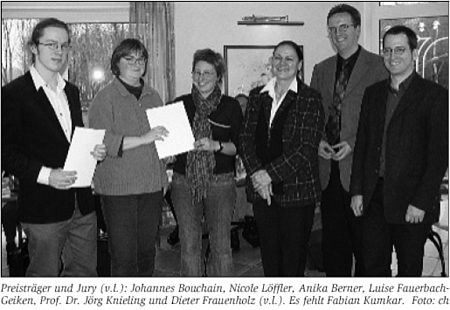 Planning studies, TU Hamburg-Harburg resp. HCU Hamburg.